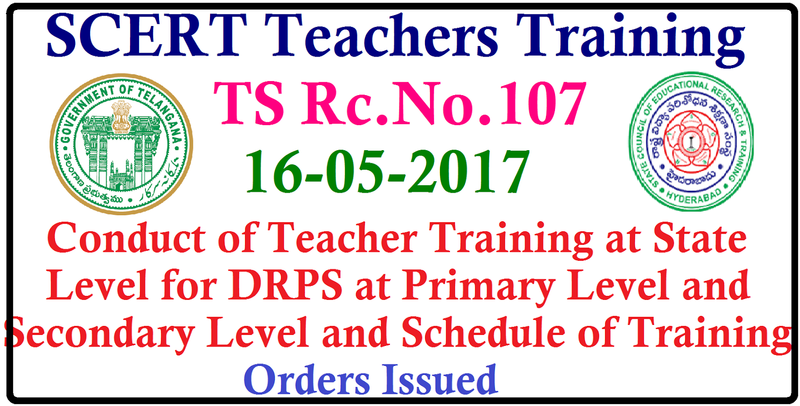 School Education, Telangana, Hyderabad Conduct of Teacher Training at State Level for DRPS at Primary Level from 23rd to 25th May, 2017 and Secondary Level from 27th to 30th May, 2017 at TSIPARD,Rajendranagar. Hyderabad in residential mode Relieving of identified DRPS for the Training Orders issued. All the District Educational Officers and the Principals of DIET/ CTE/ IASE in the State are here by informed that the Teacher Training at State Level for DRPs at Primary Level and for Secondary Level (class VI to X) will be at TSIPARD,Rajendra nagar, Hyderabad in residential mode on the following dates.